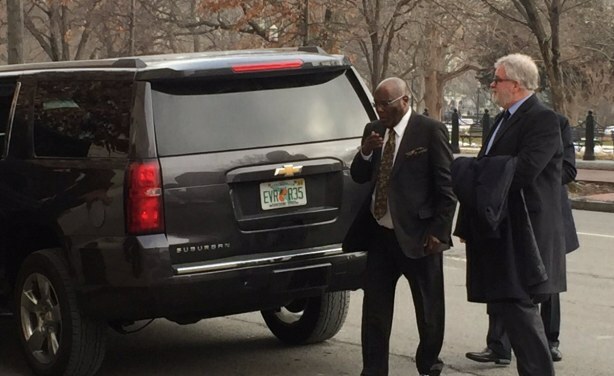 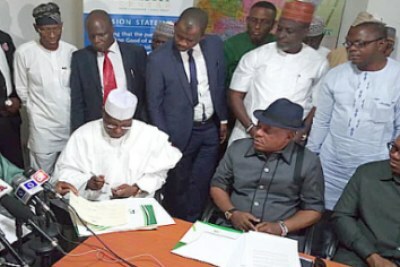 Atiku Abubakar, the presidential candidate of the opposition Peoples Democratic Party, arrived in the United States on Thursday for meetings with U.S. government officials, Nigerians living in D.C metropolis and the business community. 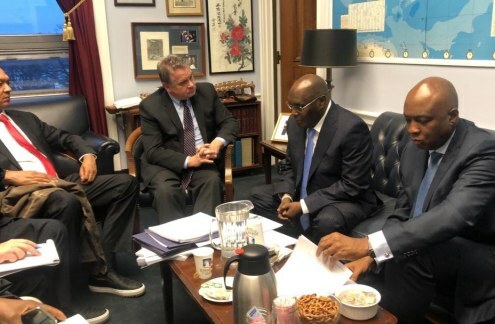 On Thursday he met with U.S. congressman Chris Smith (R-NJ) on Capitol Hill, and on Friday he and members of his delegation met with business representatives at the United States Chamber of Commerce. 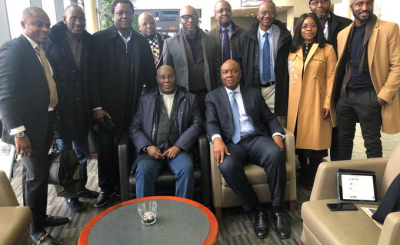 Mr. Atiku Abubakar, presidential candidate of the opposition Peoples Democratic Party (PDP), and his delegation meet with U.S. congressman Chris Smith (R-NJ). 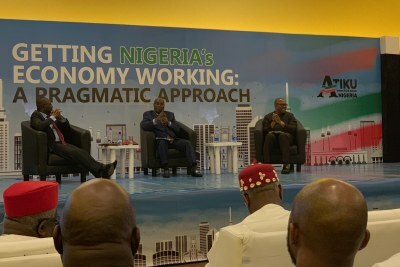 Mr. Atiku arrived in the United States on Thursday for meetings with U.S. government officials, Nigerians in Washington, DC metropolis and business representatives. 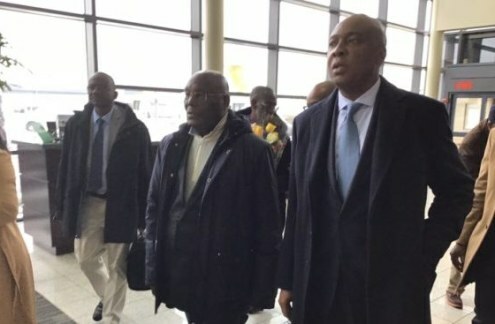 Mr. Atiku Abubakar, Nigerian presidential candidate of the opposition Peoples Democratic Party (PDP), arrives in at Dulles Airport, Washington, DC, on Thursday night. 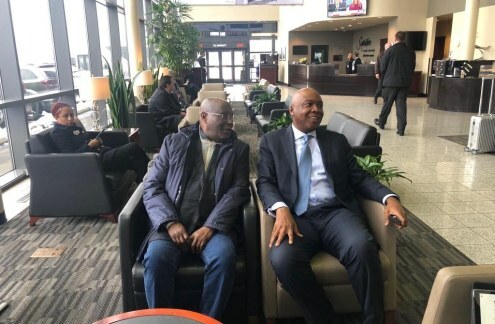 He is accompanied by Nigeria's senate president Bukola Saraki.